The world’s tallest modular hotel – which will carry a brand of Marriott International – is on track to be stacked in late fall in New York City with prefabricated and pre-furnished guestrooms. Once erected over a 90-day period, the 360-foot-tall tower will represent a milestone for Marriott’s ongoing initiative to encourage hotel developers in North America to embrace modular for new construction projects. To be topped with a modular roof and modular rooftop bar, the world’s tallest modular hotel is expected to open in late 2020 as the AC Hotel New York NoMad. The 168-room, 26-story AC Hotel New York NoMad is scheduled to rise at 842 Sixth Avenue with prefabricated guestrooms arriving at the hotel site fully constructed, inside and out. Besides finished, painted walls, each “module” will contain a fully outfitted guest room – with beds, sheets, pillows, flooring and even toiletries. The hotel’s roof and rooftop bar are expected to be produced using modular construction, and its more customized public areas such as the restaurant and lobby are expected to be constructed using traditional methods. Prefabrication is a process that Marriott has found typically reduces the construction timeline, curbs site waste and noise, and results in a higher-quality product produced with factory level precision. The time savings comes from the ability to perform two crucial functions simultaneously – building the public spaces on site while manufacturing the guest rooms offsite. Marriott, which has the largest pipeline of hotels in North America, began researching modular construction in 2014 to offset lengthening hotel construction times – a trend attributed to the nation’s building boom and resulting labor shortages. Since 2011, Marriott has seen the average time to build and open a hotel in North America increase by as much 50 percent, depending on factors such as location and size of property. Since 2015, Marriott has been educating owners, franchisees, architects, lenders, consultants, general contractors and other stakeholders across the industry about the benefits of modular by hosting town halls, factory tours and stacking events. The company also worked with leading modular manufacturers to help them better understand the untapped demand that hotel development companies represent. Since the launch of Marriott’s initiative, the company’s development partners in North America have opened 31 Marriott-brand hotels – all low-rise structures – that incorporate prefabricated guestrooms and/or bathrooms, including a Fairfield by Marriott Inn & Suites in Folsom, Calif.; a Courtyard by Marriott in Pullman, Wash., and three AC Hotels in Oklahoma City, Louisville, Ky., and Chapel Hill, N.C. To date, the largest Marriott-branded modular-built to open is the 354-room, dual-brand Courtyard and TownePlace Suites by Marriott property in Hawthorne, Calif., while the first to also incorporate a prefabricated elevator bank was the Fairfield by Marriott Inn & Suites in Prairie, Wisc. Later this year, a developer will start stacking the first modular-built Moxy hotel in the United States in downtown Oakland, Calif. The company continues efforts to support developers interested in leveraging prefabrication, most recently launching modular versions of its prototypes for four of its higher-volume brands: Courtyard by Marriott, Fairfield by Marriott, SpringHill Suites by Marriott and TownePlace Suites by Marriott. Underscoring its commitment to igniting demand for modular construction, Marriott this year is offering an incentive to development companies that leverage prefabrication for guestroom construction. The US is targeting Cuba with additional sanctions, including restricting travel to the island nation, limiting remittances, and sanctioning additional entities, White House national security adviser John Bolton said. US citizens sending remittances to Cuba will be limited t $1,000 per person per quarter, Bolton said on Wednesday. Non-family travel will be restricted to reduce “veiled tourism” that benefits the Cuban government and military, he added. “Through the Treasury Department, we will also implement changes to end the use of ‘U-turn transactions,’ which allow the regime to circumvent sanctions and obtain access to hard currency and the US banking system,” Bolton said in a speech to veterans of the 1961 Bay of Pigs invasion, when Cuban exiles tried to overthrow Fidel Castro’s regime. 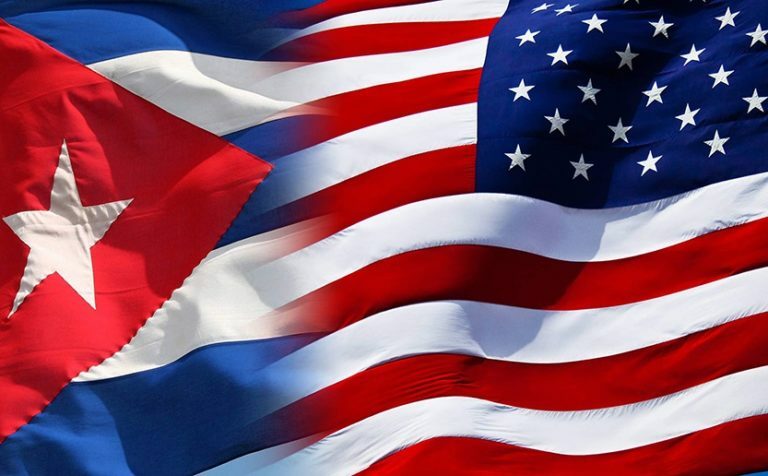 The move comes a day after the White House announced it would stop issuing waivers on implementing the Helms-Burton law, which would penalize anyone in the world who did business with Cuban entities using property seized from US owners following the 1959 Cuban revolution. Treasury has not officially announced the new sanctions, but Bolton said five entities will be added to the Cuban blacklist, including the military-owned airline Aerogaviota. The US cut diplomatic ties with Cuba in 1961, and over the following decades imposed a wide range of sanctions on the island nation, just 90 miles south of Florida. Former president Barack Obama sought to soften the US policy in 2015, leading to the reopening of the US and Cuban embassies and loosening of travel restrictions. In June 2017, however, Trump rolled back all of Obama’s changes, returning to a hardline policy on Cuba. Additional sanctions were introduced this year, as Trump administration has accused Cuba of and its military of occupying Venezuela and helping Nicolas Maduro’s regime to stay in power. Somatheeram will, once again, participate at the leading B2B travel exhibition OTDYKH Leisure, which will take place September 10-12, 2019. Held in Moscow each year, OTDYKH leisure is a perfect start for the upcoming winter season on the Russian inbound and outbound market. Somatheeram Ayurveda Group in Kerala, India is the foremost resort group in the world for authentic Ayurvedic treatments, Yoga and Meditation. AYURVEDA is a 5000 year old Indian traditional system of medicine. The healing power of Ayurveda has the answer to almost every known ailment. It is considered to be the oldest form of health care in the world. Ayurveda maintains good health and corrects unstable health. It ensures an honest balance between you, your body and nature. Ayurveda medicines and supplements are composed only of substances taken from nature. Because they have no side effects, patients do not become physically or psychologically dependent on them. Somatheeram offers all Ayurveda clinical treatments and treatment packages. You can choose from rejuvenation therapy, detoxification/body purification, slimming/weight reducing, anti-stress/stress management and beauty care. Somatheeram is one of over 900 companies participating in the exhibition from every corner of the globe. Once again, OTDYKH team is expecting an outstanding Indiana exposition. In 2018 the expo welcomed India with a record-breaking number of companies. The country was represented by the collective stands of India Tourism and by regional stands of Kerala, Andhra Pradesh, Goa, Indian Railway Catering and Tourism Corporation as well as by private resorts, hotels, hospitals and companies such as Caper, Sita Somatheeram etc. Every year Somatheeram is using its presence at OTDYKH International Travel Market to showcase its wide and varied spectrum of Ayurveda treatments procedures. Somatheeram team is looking forward to meet you at OTDYKH Leisure 2019, Moscow, Expocentre Fairgrounds, Pavilion 2, Hall 1. If you are considering attending the show from September 10-12, 2019, please register free of charge online. eTN is a media partner for OTDYKH. In a bid to turn the loss making airline into a profitable venture, SriLankan Airlines has come up with a five-year strategic plan. Part of the plan will see them emulating industry leader Emirates, with a new hub and spoke network model. They went on to say that the national carrier had an ‘enormous contribution’ to make to the GDP of Sri Lanka, including import, export and tourism. What is SriLankan Airlines planning? Their latest five year strategic business plan includes major development of the Colombo hub to make it a key connecting point for a variety of markets. SriLankan are targeting passengers connecting through Africa, Asia and the Middle East, in a bid to grow as big as rival airline Emirates. As a member of Oneworld, SriLankan are hoping to leverage their membership to develop their network for the future. In contrast to their current point to point model, they plan to work on more of a hub and spoke model to develop new opportunities. The plan is to be presented to the Government of Sri Lanka for approval shortly. Currently, SriLankan Airlines operate with a fleet of 27 Airbus aircraft. Specifically, these are 13 A320 family aircraft and 14 A330s. As part of the five year plan, the carrier intends to select new fleet inclusions which match the requirement of their developing route network. They have also said they want to reconfigure their existing fleet to offer an enhanced business class service. Already, the airline has announced a fifth weekly service between Colombo and Tokyo from July onwards, using its Airbus A330-300s. If the plan is formalized by the government, we expect to see many more new route announcements over the coming weeks. The plan is being headed up by Group Chief Executive Officer Vipula Gunatilleka, who was appointed to the airline in mid-2018. Prior to joining SriLankan, Gunatilleka was a board member and CFO of TAAG Angola. There, he worked closely with Emirates while they were managing TAAG, so no doubt knows his hub and spoke business very well already. The airline is undergoing a major shakeup with a view to turning a profit. Over the last nine months, the carrier’s net loss more than doubled to a total loss of $135m. It is hoped that the five year strategic plan being tabled today will transform the airline by 2024.